Boxwalla enthusiasts know that Boxwalla's green beauty boxes are an extraordinary value, and that the products themselves are nothing short of spectacular. Their carefully curated beauty boxes are a tremendous value, with steep discounts, and they feature truly covet-worthy luxury organic beauty products. 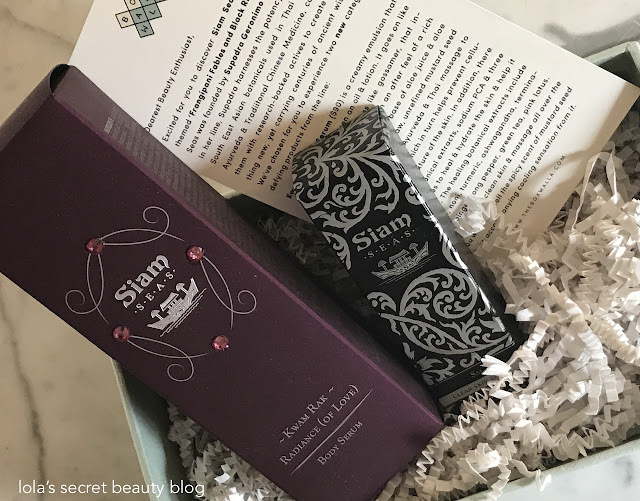 Their February Beauty Box, which only costs $49.95, is another must-have, and it features two full-size products from Siam Seas. These two gorgeous products haven't yet been released and Boxwalla Beauty subscribers will be among the first to experience them. *THIS IS A SUBSCRIPTION* You will be charged intially when you purchase. Automatic renewal every two months until you cancel. The last day to subscribe to the February Beauty Box is February 10th. Siam Seas Sai Clear Skin Serum (Full Size: Retail value $65.00 for .68 oz. ): This antioxidant-rich serum features a stable form of Vitamin C in conjunction with potent actives that are formulated to create a "second skin-like protective layer" that firms and brightens the skin. It is lightweight, has a lovely earthy aroma, and it dries down to a natural matte finish. It effectively calms redness, brightens dark spots, hydrates skin and leaves it soft, smooth and supple. This serum is a vitamin C serum that combines many ancient South East Asian botanicals with more modern actives like ceramides, MSM and a stable ester of vitamin C. This serum is hydrating with barrier protecting properties. You will find that it may have a slight graininess owing to the presence of gypsum which contributes to the wonderful ''smoothing' properties of this serum. 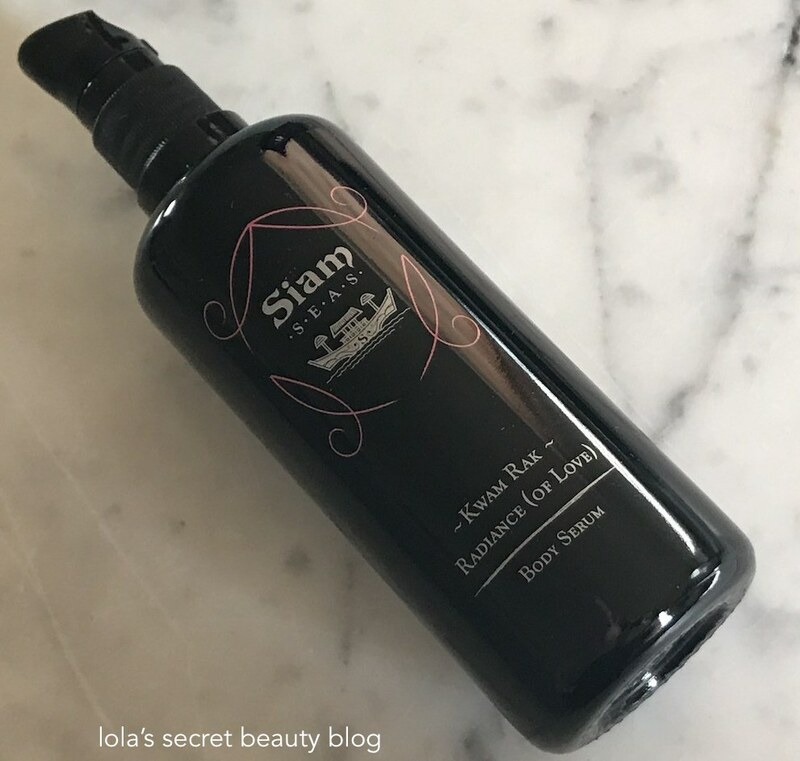 To test & evaluate this serum, Supadra (founder & formulator of Siam Seas), recommends using just a mist/essence under a couple of pumps of this serum. I have also found that doing that, gives you the best idea of how this serum works and then you can figure out if you need to layer more skincare over it (usually a cream or oil and/or balm). For oilier skin types and in warmer climates, you may not need anything over this. 1. You can mist and then apply 2-3 pumps of Sai. It will tighten on the face, like it's forming a 'second-skin' layer. It dries down really matte and your skin will feel very smooth to touch. But visually, it still will look glowy. You can repeat this step again, if your skin tends to be dry (Mist and apply Sai, let it dry, then Mist and apply Sai again). This will allow you to study the effects of this serum on your skin (it is really great at reducing scars as well). 2. After the testing phase, you can start layering this under an oil, balm/cream, if your skin needs more emollient products. When doing that, you don't have to wait until Sai dries down (so that the oil can be applied to damp skin). It is recommended to always apply Sai on damp skin. An example layering routine would be : Mist, Sai, 1-3 drops of oil, seal in with a dab of cream or balm. Siam Seas Kwam Rak Body Serum (Full Size. Retail value $90.00 for 3.4 oz. ): This is an absolutely delectable hybrid body serum that deeply hydrates and moisturizes the body with the efficacy of a rich body lotion and an emollient body oil combined. It has a remarkably lightweight texture that is creamy, emollient and it melts into the skin in the most satisfying way. Skin is left soft, smooth, supple, radiant and silky to the touch. The complex aroma transforms from a spicy earthy scent to a more complex floral punctuated by Jasmine Sambac. Kwam Rak is a very unique body serum made in a base of aloe (aloe juice and aloe inner fillet gel). It also contains a high percentage of raw, mustard seed oil. Since this serum has a built in aloe delivery system and cream lotion-y texture, unlike other oils, you don't have to apply on damp skin. It still absorbs beautifully when applied on dry skin. But you can apply on damp skin for more spreadability.It feels like a light watery serum going on, but with an after-feel of an oil/balm. The scent of Kwam Rak is very unusual. It starts of with a spicy earthy scent of mustard oil. As you smell the mustard oil, you will also simultaneously, feel the cooling effect of the mustard oil on the skin. Mustard oil (which is also used to cook with in Thailand and parts of India), is used both in Ayurveda and Thai Massage for its ability to boost circulation and thereby reduce cellulite. After a good 15-20 mins, the mustard oil scent dissipates and gives way to the softer floral scent of frangipani/plumeria and jasmine sambac which is what will linger on your skin. Overall Assessment: I am obsessed with these two products, and cannot sufficiently underscore the extent to which the value of this box is incredible. 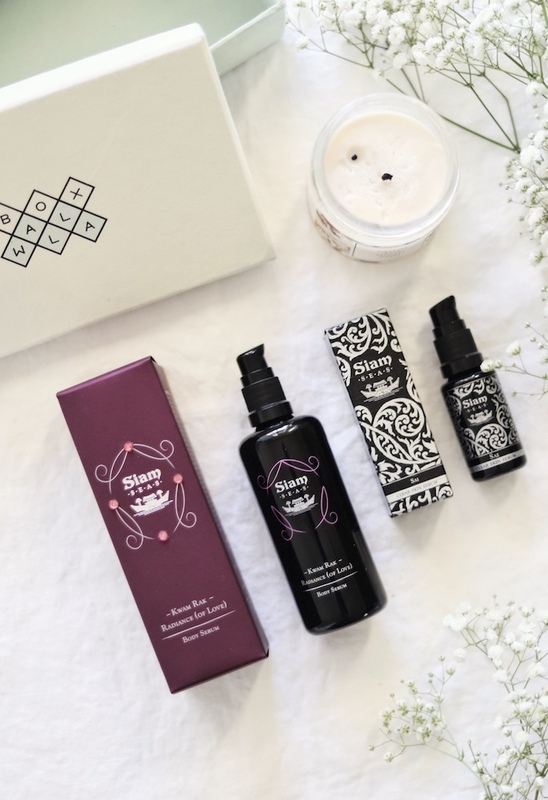 If these products appeal to you, then I suggest that you order your Boxwalla February Beauty Box: Siam Seas Frangipani Fables and Black Rice Tales before it sells out! The Beauty Boxes ship around the 5th of the month and if Boxwalla has any boxes left after the subscription closes, that they will be listed (at a higher price) under one-time boxes. I have never tried a body serum but I think that this old bod would really enjoy one. 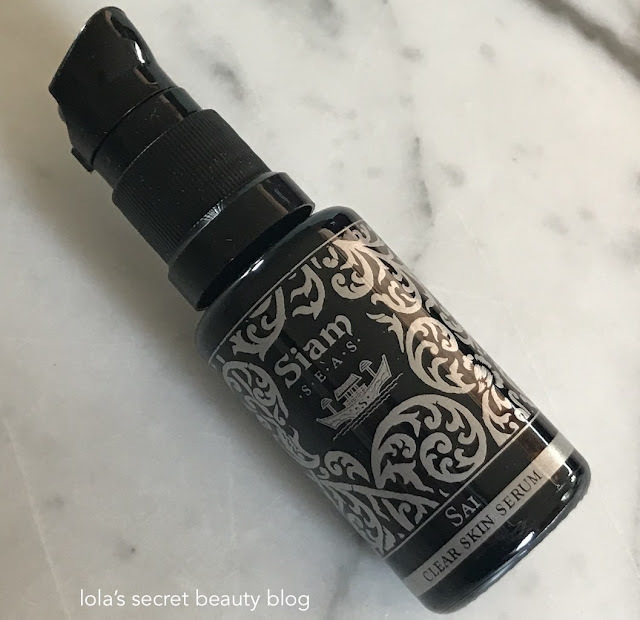 This Siam Seas serum sounds simply gorgeous. I think that you would really lie this one. I have tried a few Siam Seas and have ben quite impressed by what I have tried. This box is yet another exceptional value from Boxwalla! The body serum sounds especially enticing: the fragrance, the cooling sensation, the hydration benefits. I would love to try it someday! It is a really lovely body serum, and the aroma is divine! Boxwalla does such an incredible job selecting the products for their green beauty boxes, and the value is always amazing! I think that some of their products are vegan, but not all. Some products contain honey, Royal Jelly and Bee Pollen. They have a new "Q and A" page for their website, but it is in a coming soon type of status. This face serum lists cholesterol among its ingredients, but doesn't state whether it is from animal or plant sources. I think that you would simply need to read through the ingredient lists of the products that are of interest to you to see whether or not they are vegan. I just heard from Boxwalla, and the products in this box are absolutely vegan. The cholesterol is plant-based. Lavanya, from Boxwalla, said, "The cholesterol is of vegetable origin and then processed." I think it's great that people will get to try the newest releases from Siam Seas by subscribing. The price seems good for the two full size products. I think that it's great the Siam Seas allowed their initial product launch to be rolled out in the Boxwalla February box! These products are incredible, and as always this is offered at an incredible discount! They really are, and the aroma of the body serum is really something else! I am obsessed with it, actually! The body serum sounds amazing and I don't have one of those in my bath routine! It is ABSOLUTELY AMAZING, Cassie! Ohhh what a fun beauty box! IDK why I don't use a body serum! 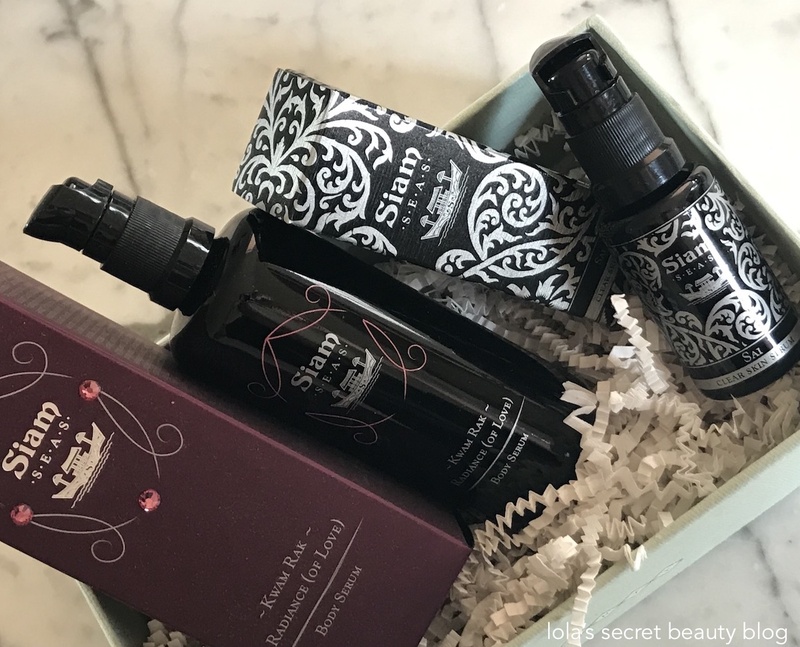 It is a really impressive beauty box, and a good body serum is such a wonderful addition to a nourishing skincare routine!